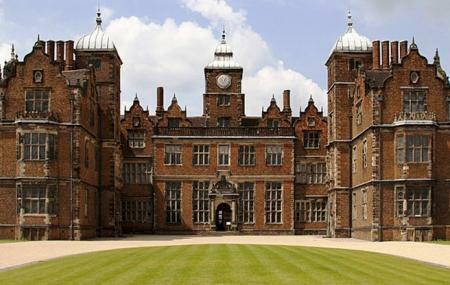 Aston Hall is one of Birmingham city’s most beloved treasures. Designed and built almost 400 years ago, it boasts striking interiors from the 17th, 18th and 19th centuries. This is the closest one can actually get to experiencing what England was like so many years ago. After a major renovation was completed in 2009, it is now maintained as a community museum by the Birmingham Museums Trust. Aston Hall boasts a series of period rooms, which have furniture, paintings, textiles and metalwork from different eras of early Britain. Almost as famous as the hall itself, are the adjoining gardens and grounds. While entry into the Aston Hall requires a ticket, one can spend as much time as they want in the gardens without being bothered. It provides for a blissfully idyllic atmosphere, and coupled with the royal Aston Hall in the background, it makes for a very pretty picture. The architecture retains its 17th century style, which greatly contributes to the status of Aston Hall as a Grade 1 heritage monument. Visiting performance artists often put up small shows in the Aston Hall gardens. Depending on your luck, you could catch a young musician strumming away on his guitar or even a gymnastic troupe in full flow! A trip to Birmingham is incomplete without appreciating the beauty of Aston Hall. Also, visit the popular attractions in the city by following Birmingham itinerary 1 day. The hall is closed during Aston Villa football club’s home games. The charges apply to the house only. Gardens, grounds and visitor facilities are free to all visitors. The car park is free for all patrons. It is walking distance from the Aston Villa Football Ground, which is a good detour for any sports fans. However, it would be best to stay away from the area on football match days- especially if Aston Villa loses. Adults £4; Children under 16 years- free; Concessions (Students, disabled persons and senior citizens): £3. Buses 65, 67, stop nearby in Lichfield Road, while the 7 and 11A/11C call at the junction of Aston Lane and Brookvale Road. The number 46 stops at Witton Lane. Aston Hall is located in the centre of a 50-acre park, midway between Aston and Witton train stations and is a ten to fifteen minute walk from each. How popular is Aston Hall? People normally club together Gas Street Basin (birmingham) and AdventureLand while planning their visit to Aston Hall. Love it here, its a joy to walk the dog round the grounds of the Aston Hall, with all its history, even though its surrounded by busy roads on 2 sides, its still a little bit of peace and open open space. Usually well kept, and not too busy, but just a few visitors attended events at rhe actual Hall when its open, makes its just not too isolated, but peaceful enough. Fantastic museum all the rooms have original furniture and staff have so much knowledge to share. Fantastic for all ages. Have visited this place for over 70 years. Still a lovely place with free parking adjacent to Aston hall. There are admission charges to hall but we'll worth a visit. A fabulous building inside and out.